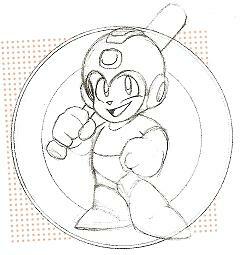 Those of you with a copy of the Mega Man Official Complete Works book from Udon have probably seen this image. Rockman… baseball? 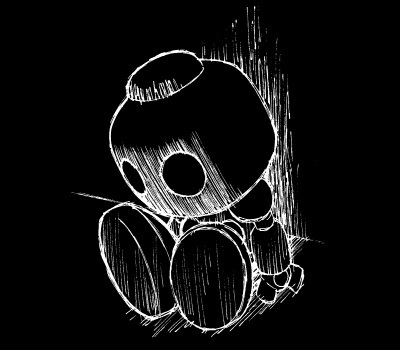 In the book, Keiji Inafune claims to have no memory of when he drew it or why. Well, he could have asked me, because I think I remember! In August of 1998, a Japanese baseball team called the Nippon-Ham Fighters held a Rockman Day at the Tokyo Dome, which was then their home field. If I recall correctly, a logo very similar to this one was used to promote the event. How do I know all this? Because on August 14 of that year, Capcom sent a fax about it! (2nd from the bottom) Unfortunately Capcom purged the faxes from their site long ago, and the image doesn’t seem to be saved on the internet archive, but you can still see the text there reading “FIGHTERS ROCKMAN DAY”… well, if you can read Japanese, you can. I first came across the Capcom faxes back in the late 90s, and saved all the images I could find… only to lose them in a hard drive crash. But maybe somebody out there saved them, and will come forward? I hope so! Just another random trivia tidbit I felt the need to share. 3 Comments to "Roll Home Run!" I saved a few of these faxes when they were released, but this is way far from a complete collection. I sure wished I'd kept them all too! Oh crap, when I think I get my artwork collection complete…. THERE IS MORE!! !